The Birkenhead 3 tap hole basin tap with pop up waste from Burlington, features a classic traditional design and manufactured to the highest standards using the latest technology. 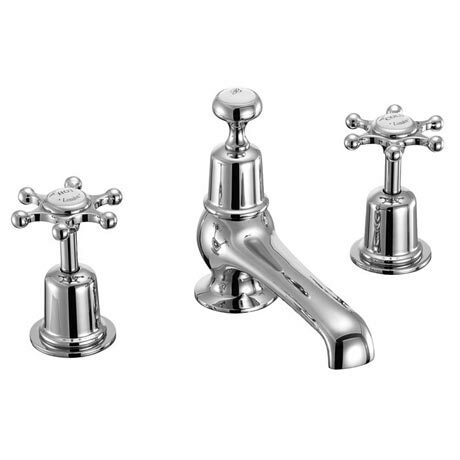 Create the perfect period bathroom with our range of quality chrome plated traditional taps. Comes with a 10 year guarantee. All Birkenhead taps have a six spindle tap head with a ceramic indice in the centre. These taps come with the traditional screw down valves as standard.